Tim Eyman & Glenn Morgan In Ellensburg. The Fourth Corner and Common Threads Northwest and Corporate Sponsor Asset Advisors are proud to present!! 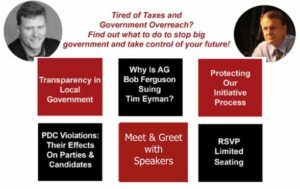 Political activists and involved citizens Glen Morgan and Tim Eyman have teamed up on a riveting road show to bring you “The Full Contact Activism Tour”. “Glen and Tim will both be discussing fighting back against arrogant big government politicians, beating back attacks on our freedom, holding elected officials accountable, and other hot topics. This exhilarating tour will be sure to bring out the activist in all of us and bring us up to speed on what’s happening in Washington state politics. 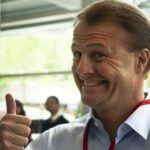 Tim Eyman and his team have been terrorizing politicians for 20 years with citizen initiatives that expand individual freedom and liberty in Washington state. Whether it’s $30 vehicle tabs, lower property taxes, supermajority votes for tax increases, or protecting the initiative process, Tim focuses on letting the voters decide. So far, his initiatives have saved taxpayers over $40 billion! That’s why Seattle crazies hate him (and why we love him). This year, he’s going all out to bring back our $30 tabs with a new initiative. Is it any wonder that Attorney General Bob Ferguson wants to shut Tim down by suing him and trying to impose a lifetime ban on all future political activity by him? 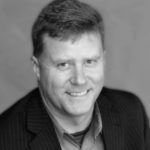 Glen Morgan is currently the Executive Director of the Citizens Alliance for Property Rights. Glen was the Grassroots Director and the Property Rights Director at the Freedom Foundation from 2011 until January 2015. He stands with and for everyday people and he enjoys creating videos documenting Big Government’s abuses of citizens – particularly on property rights issues. He is a frequent writer and speaker on property rights, the environmental movement, Big Government, and the importance of citizen activism. Glen has been active in reporting PDC violations by the Democrat Party throughout the State of Washington.